The new Mercedes-Benz GL-Class promises higher performance and lower running costs than the previous model, it will be available in two configurations – a ‘standard’ model and a seriously quick GL63 AMG version. 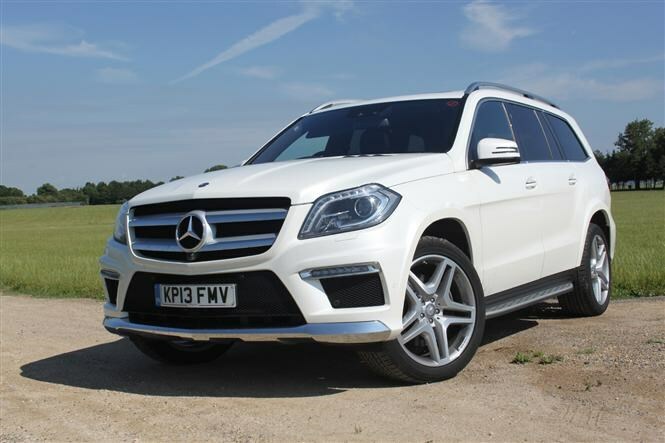 The GL 350 BlueTEC AMG Sport is the cheaper of the two, with prices starting at £59,465. That hefty sum gets you a 3.0-litre petrol engine with 258bhp and 620Nm of pulling power. It’ll achieve the sprint to 62mph in 7.9 seconds, with a top speed of 137mph. Fuel economy is a claimed 35.3mpg on the combined cycle, while CO2 emissions are 209g/km. You get a lot of equipment, including automatic headlights, AMG bodykit, 21-inch alloy wheels, an electric sunroof, air suspension, parking sensors, self-parking system, DAB digital radio and Mercedes’ COMAND multimedia system. As ever with Mercedes-Benz cars, there’s a host of advanced safety systems installed. Crosswind Assist, for instance, detects strong gusts of wind and keeps the car facing in the correct direction. Collision Prevention Assist is a warning system which lets you know when the car is closer than a set distance from the car in front. There are also myriad optional extras available to customise your car. You can have a 360-degree reversing camera, a panoramic sliding sunroof, leather upholstery and a wide range of extra safety equipment. It’s bigger than the out-going model, too. It’s 21mm longer and 10mm taller than before, while boot capacity increases by 60 litres to 360 litres. Boasting seven seats, the back row electrically folds away and rises allowing easier access to the back of the car. For those who want to take their GL-Class off the beaten track, you can specify the optional On- and Off-road package. This system gives the driver a choice of six ‘programmes’ which adjust the car’s set-up for various road conditions. If you want to find out whether this car is right for you, keep an eye out for the Parkers full Mercedes-Benz GL-Class review coming soon.